The Netherlands claimed their first points in the competition with a dynamic and confident display. With debutants Denzel Dumfries and Steven Bergwijn in their starting XI, Virgil Van Dijk headed the home side in front on the half-hour and they held firm before picking off Germany twice late on. Quincy Promes teed up Memphis Depay for the second before Georginio Wijnaldum waltzed through to drill in the clincher, dropping Germany to the foot of the table with just one point in the process. Patrik Schick scored three minutes after coming on as Jaroslav Šilhavý enjoyed a winning start as Czech coach. Schick's bullet header decided it after Marek Hamšík had marked his national-record 108th cap with a goal to cancel out Michael Krmenčík's second-half opener. The result means Ukraine are promoted if they draw with the Czech Republic on Tuesday. 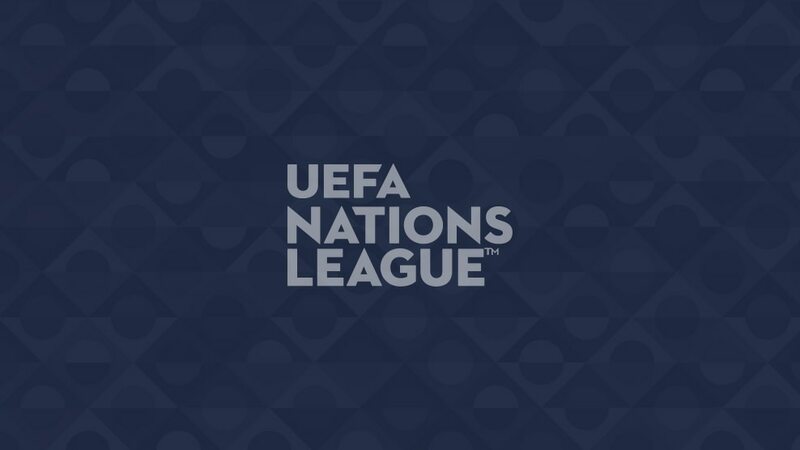 Ireland got their first point in the UEFA Nations League as Denmark came away from Dublin with a draw to go one ahead of Wales at the top. Pione Sisto's effort that hit the outside of the post was the closest either side came in the first half. Harry Arter cleared Simon Kjær's header off the line and Kasper Schmeichel denied Cyrus Christie. Bulgaria came from behind to make it three wins out of three in the group. Juventus prospect Grigoris Kastanos gave Cyprus the lead late in the first half, turning in a cut-back by Andreas Avraam. However, just before the hour Kiril Despodov headed in a cross by Strahil Popov, who nine minutes later was also the provider as Todor Nedelev put Bulgaria in front, leaving Cyprus still in third on three points. For all three scorers, it was their first international goal. Ole Selnæs produced a brilliant half volley from the edge of the area in the fifth added minute of the first half, the extra time due to an early injury to Slovenia's Luka Krajnc. Josh King came closest to making the win more comfortable but Norway are on to six points and leave Slovenia still to get off the mark. Georgia moved seven points clear in Group 1 with a third victory in the section and will be promoted if they beat Latvia on Tuesday. Valeri Kazaishvili stole the show, firing in off the post before the break then cutely dinking in his second over Josep Gomes with six minutes left. Andorra had Marcio Vieira sent off in added time but there was still time for Jaba Kankava to head in a third. These sides remain locked together on two points from three games after a tight contest in Riga. Baktiyor Zainutdinov bundled in Dmitri Shomko's cross for the visitors but Artūrs Karašausks swept in the equaliser before the break to earn the home side a share of the spoils. FYR Macedonia could be promoted on Tuesday after opening up a six-point lead over their three group rivals. Aleksandar Trajkovski was set up for the opening two goals by Goran Pandev, who got the third himself on 36 minutes with a shot through a crowded box. Almost immediately Seyhan Yildiz became the first player to score against FYR Macedonia in this competition but Egzijan Alioski made it 4-1 midway through the second half. Gibraltar, having lost their first 22 competitive internationals, got off the mark thanks to Joseph Chipolina's 50th-minute penalty after Hrayr Mkoyan brought down Lee Casciaro. Kyle Goldwin made a string of fine saves to earn Gibraltar their first away win in an official international, including friendlies, and they join Armenia on three points.